"Mobile phone? Digital SLR? Compact camera? Improve your photography, no matter what camera you use, with these sure-fire digital photography tips"
digital photography is wonderful - endless opportunities to take perfect pictures. It's been my passion for over twenty years. And yet I meet frustrated photographers every day. They have the equipment they need, but lack the knowledge to put that equipment to good use. Maybe this sounds familiar . . . you love photography. You want to take great pictures but you feel your photos are a little, how can I say this, a little 'average'? 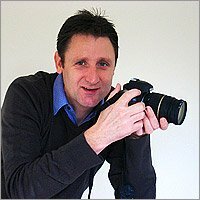 So how do you improve photography? The key is technique. No matter what camera you're using, better photography technique = better photos. 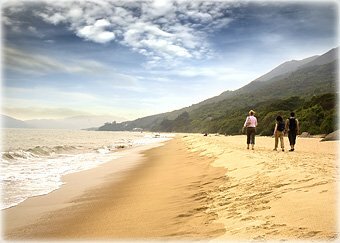 I'll show you how to take sensational pictures every time you press the shutter - my guide is comprehensive and contains everything you need. I'll have you taking amazing photos in no time at all! And the best part? Even if you use a basic compact camera, or even just your mobile phone, the photography techniques I'll share with you will get you taking incredible photos, time after time. It really helps to know what your camera is doing (even what it's thinking!) when it takes a photo. It's easy to understand, and, with this knowledge you can make your camera work for you. My complete photography guide gives you the essential knowledge to put those electronics to good use so that you can be taking better photos in no time at all. With knowledge there's power. That's why my ebook contains a comprehensive section on digital photography terminology - helping you improve photography from the ground up. It helps you to fully understand your camera - and that means you'll be taking stunning pictures that will make your friends and family gasp in amazement! As you begin to build your photography knowledge you'll be onto the next step - and here my guide takes you through the photography basics that virtually guarantee stunning photos every time. My photography guide shows you how to adjust the settings on your camera so that your pictures will look more professional. Here's just one example - a clear and thorough explanation of what depth of field is and why it's important in your photography. I'll show you how to take control of the depth of field which will instantly improve your photography. You'll soon be taking photos that have a wonderful, professional, look and feel. 12 Sure-Fire Ways To Better Photos . . . 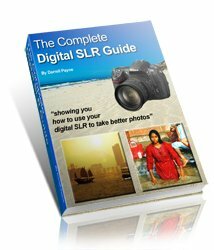 This second guide (usual price $17 check current price on Amazon) included for you for absolutely FREE, will show you how to build on the skills you have learnt from the Digital SLR Guide. I'll show you exactly how to take photos that you'll be framing for the wall. What is the rule of odd numbers and how will it help your composition? What are the best ways to photograph children. Why is taking control of the shutter speed essential for creative photography? Turn lemons into lemonade! - how can you rescue a 'failed' image? How is it possible to take great photos of pets? And a lot more besides! "12 Sure-Fire Ways To Better Photos" uses example photos so that you can clearly and easily identify better photography techniques. By learning from the other photographers in this book you learn how to take better photos and improve your photography skills fast. Actually taking the photos is the first step to great photography. Once you've captured the image (and using the skills you have learnt the composition will already be excellent!) a bit of what the professionals call 'post-processing' will really make your photos stand out from the crowd. With that in mind I've included in this offer a third book - the "Image Editing Software Guide" absolutely FREE (usual price $11). It's easy to follow with lots of screenshots, and the techniques can be learnt by anyone. This book, which usually retails at $11 (check current price on Amazon) but FREE for you, equips every photographer with the vital skills to effectively tweak their photos for maximum impact. Easy techniques that improve the look of virtually any photo you take. And with the knowledge of these simple techniques you'll be improving your photos in less than 60 seconds! A walk through of the image editing photography basics - it's easy to master these and you'll be improving your photos within 60 seconds! You already know that these guides represent the perfect package for all photographers. It's beautifully written and everything is explained in clear simple terms so that you can concentrate on taking photos and save time deciphering jargon. Knowledge of your camera helps, and so does knowledge of photography composition. That's why I've included "12 Sure-Fire Ways To Better Photos" in the package FREE, saving you $17 and helping you take better photos. 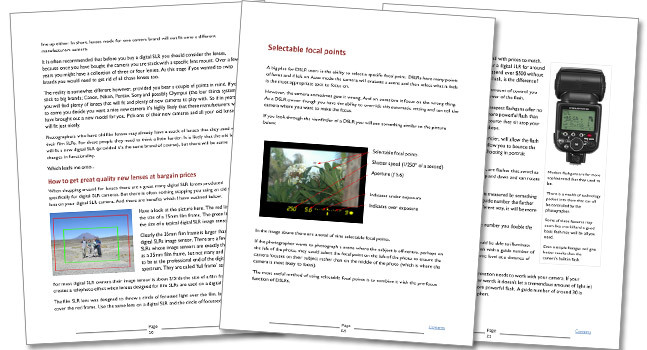 And with the "Image Editing Software Guide" included too you will know how to perk up your photos once they've left your camera, also FREE saving you a further $11. With your camera in your hand you have the knowledge from "12 Sure-Fire Ways To Better Photos" (value - $17, FREE to you today) to make sure the photos you take are photographic masterpieces. So you have everything you need to take photos that are real stunners. Photos that will amaze your friends and family. Another bonus. "How easily could this turn your camera into extra income?" I've teamed up with a great photographer who knows all about the photography business - Dan Fieldman. 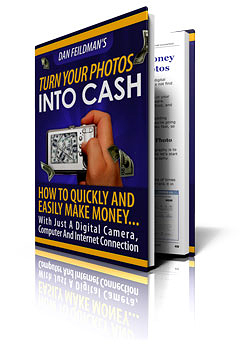 Dan's written plenty of books on how to start a successful photography business. I'm adding to your package Dan's three part eBook "Turn Photos Into Cash"
All adds up to quite a package! Improve photography step 5: Final Step! 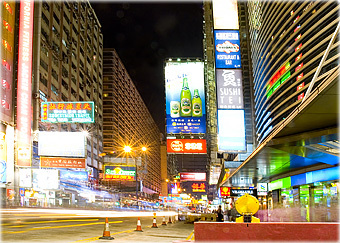 Invest now in my photography guides and you get the best value package for digital photographers. Total value $47, for you only $19! 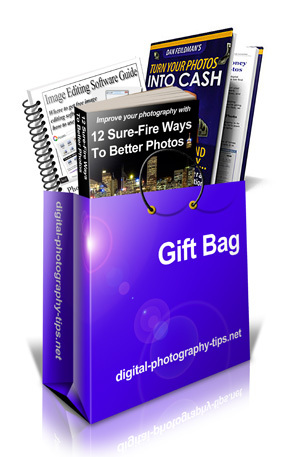 "This is the most cost-effective way to learn how to properly use your digital SLR and create sensational photos every time"
On some websites you'll see gimmicks such as "only 18 copies left!" or another classic is "just 9 minutes left to grab this offer". And one I saw the other day "50% off, today only!" You just know that if you come back tomorrow the offer will still be there. So I'm going to be straight with you - I'm not going to make any fake offers. Just one very big genuine promise of a full no questions asked money back guarantee. Guaranteed to improve your photography and give you plenty of ideas for new photos to take. Guaranteed is a bold claim, and true. Examine it, try it. Use it for a full 60 days without risk. You are entitled to a full refund up to 60 days after purchasing. This is without doubt the most complete set of photography guides. Showing you how to use your camera to take sensational photos that 'wow!' people every time. And remember that it's completely risk free - you have a full 60 days guarantee. 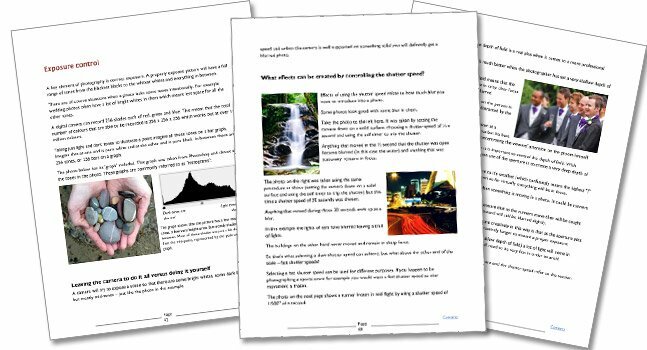 These guides show you how to use your camera properly which makes a huge difference to your enjoyment of photography. It's a wonderful feeling to know that when you press the shutter you've taken yet another fabulous photo. 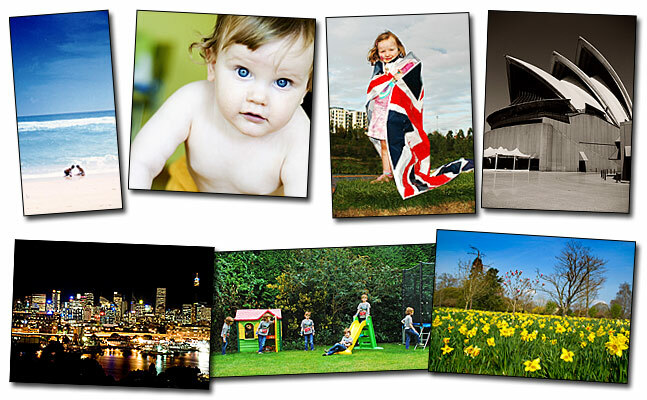 And it's so easy to access full 'improve photography' package. For just $19 you can download the entire package right now - that's all the guides and the bonuses. Plus it's all covered by the 60 day money back guarantee. "At just $19 this is the best investment you, the photographer, can make; because once you learn the skills in the eBook package you'll be equipped to take stunning photos for the rest of your life"
All the guides and bonuses in this package are "pdf" files which means you can view them on any computer, tablet and most smartphones. Once your payment has been made you'll be able to instantly download the entire package. You could be reading all the guides within minutes. ☑Improve Photography guide" (value $19). 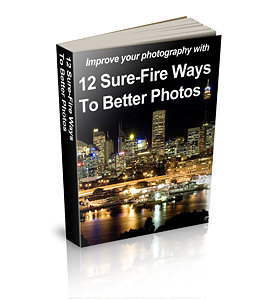 ☑"12 Sure-Fire Ways To Better Photos" (value $17). 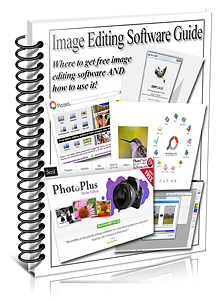 ☑"Image Editing Software Guide" (value $11). ☑Learn how to make money from photography with the "Bonus Triple Guide". your camera to take better photos now. NB: Once you click the above link you'll be taken to the order page. This is where you'll input your payment details. It's run by "ClickBank" who handle millions of dollars of payments every day. They are safe and secure (you'll see the secure padlock symbol appear in your browser). You can choose to buy the ebook with any credit card or by PayPal. Once Clickbank approve your payment, which takes seconds only, you'll be able to download the entire package immediately. Download the complete package of all six eBooks - and learn how to use your camera to take better photos. I completely understand that buying things over the internet can be a bit worrying. No need to panic! If you would like to contact me about this offer please don't hesitate to do so. You can use the contact form here. I'll be happy to answer any questions you might have. PS: If you've ever felt you aren't quite using your camera to its full potential then these guides will benefit you by showing you how to use your camera to take stunning photos. Buy the guides today and invest in your photography skills. The sooner you learn these vital skills the quicker you'll be taking fabulous photos that you can be really proud of! Invest today and you'll be taking amazing photos every day for the rest of your life. In just minutes you could have the complete package - Download the six eBooks and start taking better photos today. PPS: If you have any questions please don't hesitate to contact me. I'll be happy to help you. PPPS: Don't forget the Money Back Guarantee. Click the Add To Cart button below, get instant access to ALL SIX eBooks now, learn how to take amazing photos, and if you still aren't happy in the slightest, you can get a full refund -- no problem! your digital camera to take better photos now.